All laptops promise productivity not limited by portability, but, in reality, only a handful deliver on their promise. With more and more software applications being entirely web-based and unusable without a strong and stable internet connection, business users are now looking for laptops with built-in LTE connectivity. Such laptops have a built-in LTE modem and a SIM card slot—just like smartphones—and they allow their owners to connect to the internet from anywhere with LTE data coverage. This eliminates the need to create a Wi-Fi hotspot using a smartphone, which is a welcome bonus considering how long most smartphones last even when not supplying a laptop with internet connectivity. Coming up as first on our countdown, we have the HP Envy X2. It features a powerful Qualcomm Snapdragon 835 processor, with a whopping eight cores, and clocked at 2.2GHz. It can go all the way up to 2.6GHz via overclocking. For your display, you have a 12.3-inch diagonal WUXGA and IPS screen that is touch-enabled. It actually has Corning’s Gorilla Glass, and sports a resolution of 1920 x 1280. Battery life is probably our favorite aspect of this laptop, with it sporting up to 22 hours of straight, video playback. It’s also got some insane fast charging features called HP Fast Charge, which allows you to go from 0 to 90% charge in approximately 90 minutes! It, of course, has some great 4G LTE capabilities, too. The ASUS NovaGo is another great option, actually featuring Gigabit LTE support. Yes, if your network supporting it, you can actually achieve download speeds of 1024Mbps (1Gbps) or more. It’s able to achieve this through the power of the Qualcomm Snapdragon 835 and the built in X16 LTE modem. Other than that, it has a flexible 360 degree hinge for adjusting the display in the most comfortable position. It actually has a 13.3 inch Full-HD touchscreen, giving you extra control beyond a mouse. It’s extremely lightweight and easy to carry around as well. The Surface GO is one of the nicer, cheaper choices in terms of business LTE laptops. You’ll have to buy a TypeCover for it to transform it into a laptop; however, you still come out pretty cheap. It gets its LTE through the available with a Qualcomm Atheros LTE modem, which allows you to stay connected to the Internet wherever this is a cellular connection. It has some impressive hardware to back it up — an Intel Pentium Gold 4415Y processor, 8GB of RAM, and 128GB of storage. It does have a 10-inch display, though it’s quite clear and crisp. In fourth position on our list, we have Lenovo’s own Yoga C630. This has some impressive hardware inside, including a massive 15.6-inch touchscreen for all the productive real estate you need. It’s got an Intel i5 processor inside, as well as 8GB of RAM. It has 128GB of storage, and incredible battery life with up to 12 hours off of a single charge. The “con” might be that it runs Chrome OS, though these days, most of your work can be done online! Microsoft’s hardware division deserves a major raise because they’ve been coming up with one hit product after another for quite some time now. The Microsoft Surface Pro with LTE is a premium laptop with the versatility of a traditional laptop and tablet. It lasts up to 13.5 hours on a charge because it features Intel’s energy-efficient processor and a large battery. Microsoft sells the laptop without the Type Cover, but we strongly recommend you purchase it with the laptop because the Type Cover makes the Surface Pro what it is: a versatile workhorse. Other accessories available for the Surface Pro include the Surface Pen, the Surface Dial, and the Surface Arc Mouse. Out of these, the Surface Pen is definitely another must-buy as it can transform the Surface Pro into a graphics tablet for drawing and note-taking. The Surface Pro has a 12.3-inch PixelSense Display with 2736 x 1824 pixels and a productivity-oriented aspect ratio of 3:2. This rather unusual aspect ratio makes the Surface Pro less suitable for multimedia and more suitable for Excel and Word. 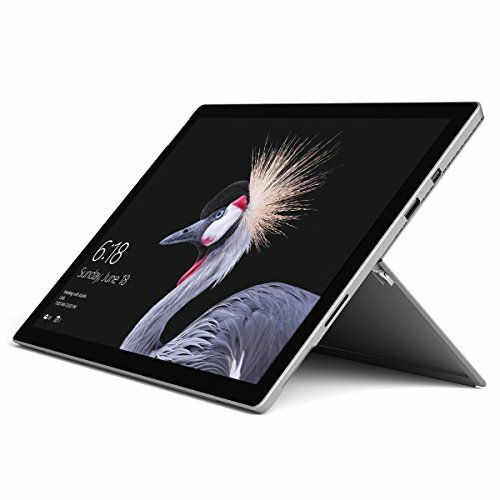 Alongside a TPM 2.0 chip for enterprise security, the Surface Pro also offers a built-in microSDXC card reader, full-size USB 3.0 port, 3.5 mm Headphone jack, Mini DisplayPort, and onboard LTE connectivity. When it comes to business laptops, many people consider Lenovo ThinkPads to be the only option. Indeed, ThinkPads have become synonymous with unmatched reliability, excellent processing power, mind-blowing battery life, and enterprise-grade connectivity options. The ThinkPad T470 is Lenovo’s flagship business laptop, and it represents everything we and many other people love about ThinkPads. Like all ThinkPads, the T470 has an understated design, which has become characteristic for the entire product line. But what the laptop has sacrificed in terms of its design, it has gained in durability. The T470 has undergone 12 stringent military tests and over 200 quality checks to ensure that it can keep up with the demands of all business users—regardless of whether they work at a cushy office job or troubleshoot expensive mining equipment 200 feet underground. The configuration of the T470 that we recommend includes the Intel Core i7-7600U processor, 8 GB DDR4 RAM, 256 GB SSD, and a 14-inch anti-glare display with a 720p webcam above it. Also included are super-fast LTE-A connectivity, a myriad of ports, and Lenovo’s signature full-size keyboard with the iconic red pointing stick. 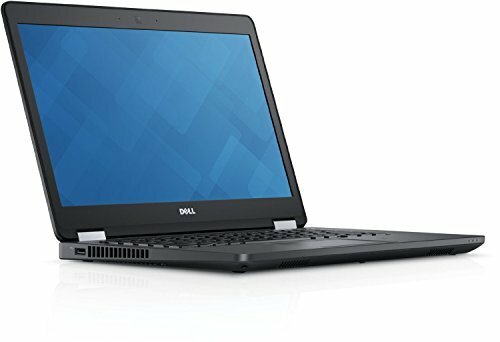 The Latitude E5470 is Dell’s mid-range business laptop. It offers a great value for money, but not without a few compromises. 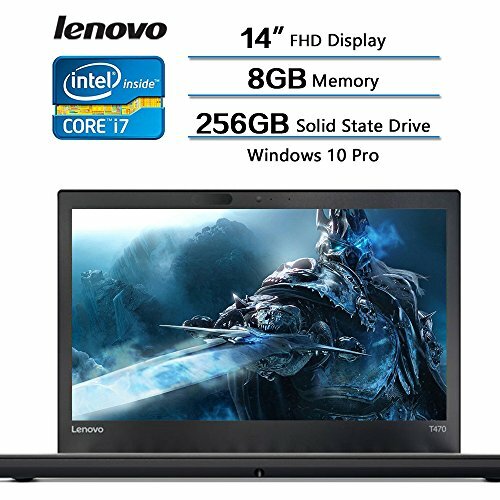 For around $700, the laptop offers the Intel Core 6th Generation i5-6440HQ processor, 8 GB DDR4 RAM, 500 GB SATA hard drive, LTE connectivity, three USB 3.0, RJ45, HDMI, and VGA ports. Unfortunately, the 47 Wh battery the laptop comes with delivers only below-average battery life. While this can be remedied by the optional 62 Wh battery, the fact that the 14-inch display only has 1366 x 768 pixels is a harder pill to swallow. Perhaps Dell has decided to go with a low-resolution screen because the company expects most customers to instantly connect the laptop to the Dell E-Port Replicator 3.0, which is a space-saving docking station that includes multiple different ports, enabling you to quickly connect the laptop with your desktop peripherals and monitor. The 2013 Chromebook Pixel may not be a hot new release, but it still has plenty to offer despite its age. For starters, it comes with an ultra-sharp 12.85-inch display with a resolution of 2560 x 1700 pixels. A built-in Verizon 4G LTE modem includes 100 MB of data each month, freeing you from the chains of Wi-Fi networks. 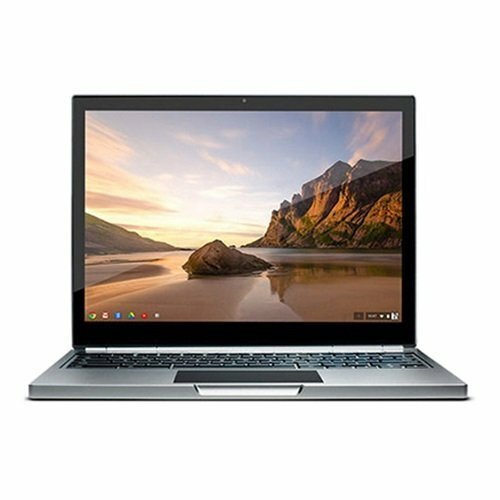 The Chromebook Pixel may only have 4 GB of RAM and a 64 GB SSD, but that’s not a problem because it runs Google’s Chrome OS, which is a lightweight operating system based on the Linux kernel and the Google Chrome web browser. Chrome OS can run Chrome web apps as well as Android apps, and the operating system has been designed with security in mind, featuring auto-updating and sandbox features that reduce malware exposure. 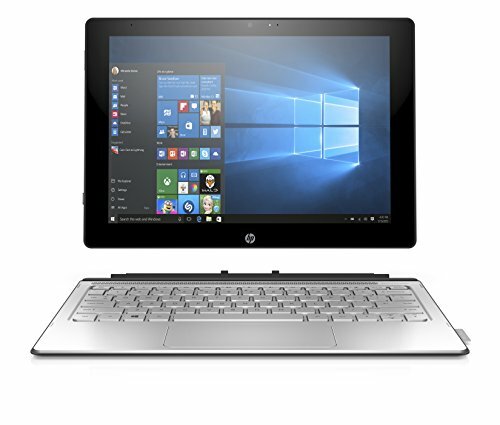 The HP Spectre X2 12-a009nr is an affordable 2-in-1 convertible that’s great for those who want the best of both worlds: a highly portable tablet for document viewing and a compact laptop with a comfortable keyboard and enough performance for office applications. The X2 is crafted from a single piece of aluminum, and it features an adjustable stainless-steel kickstand. Inside the X2 are the Intel Core m5-6Y54 processor, 128 GB M.2 Solid-State Drive, 4 GB LPDDR3 SDRAM, and the Intel HD Graphics 515 integrated graphics card. The display measures 12 inches, and it has a resolution of 1920×1280 pixels and WLED backlighting. The built-in LTE modem works right out of the box with any Verizon plan, and the large battery that powers the laptop can last up to 10 hours on a charge.